Middle East (MNN) — Over the last two weeks, two large groups of Syrian refugees have returned from Lebanon. This adds to the UNHCR estimate that 31,000 Syrians have returned to the country from neighboring countries since January 1st. The first group included 150 families returning to Homs, Syria. The second group, leaving from a border town in Lebanon, included 60 families. They returned under an agreement structured by Hezbollah between the Syrian government, Lebanese army, and Syrian rebels. But the big question is, what are they returning to? Tom Atema of Heart for Lebanon says, not much. He says there are rumors of peace in some government-held areas of Syria. And to many refugees, this possibility sounds a lot better than the other options they have. But what they find might not be what they remember. The unknown, however, is outweighed by a number of conditions the refugees face in Lebanon. For one, the conditions in camps are terrible. Earlier this month, fires ripped through two camps in the Bekaa Valley, killing two people. The fires were caused by overloaded phone poles where Syrians had been pulling in electricity. As Atema explained earlier, the act of stealing something like electricity comes from desperation. In Lebanon, refugees have very few choices. The ability to be a legal resident — a necessary prerequisite to having a job, pursuing an education, or getting health care — is usually limited to a six-month, non-renewable tourist visa for those living in the camps. This requirement is part of the overwhelmed Lebanese government’s push to get refugees out of their country. “They don’t have the resources, they don’t have the [desire] to make them want to stay and make their lives easier. They want to make their lives absolutely miserable,” Atema says. At each new season of the refugee crisis, it has seemed as though things could not get any worse. Likewise, it seems too massive of a problem to make any better. But Atema says we must cling to what hope there is. 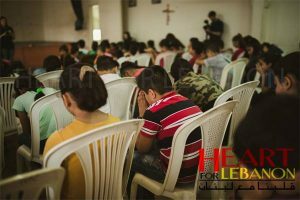 “Once again, this opens up an opportunity for the Church, especially in the West, to reach Muslims in the country of Lebanon and disciple them in such a way that we would want them to go back to Syria, to be missionaries, to hold the light of Jesus Christ into whatever area they end up living in,” he says. 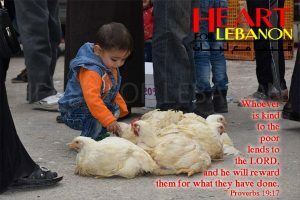 Hope for Lebanon has already witnessed a number of transformation stories despite the horror these families have faced. “It’s bad. Real bad. But, I can tell you of people, even through these fires that [they] just went through, that have come to faith in Christ and their story and their repentance is off the charts,” Atema says. 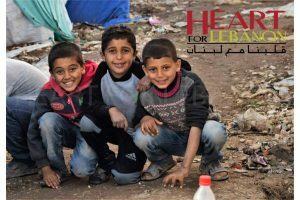 Please continue to pray for the workers on the ground, both in Lebanon and Syria. Pray for the local Church, as well. And finally, pray that those refugees who have given their lives to Jesus would make an impact wherever they go. If you’d like to get involved with this ministry, check out some options, here.